The Apartments at Palladian Place offers 298 luxury apartment homes including high-end finishes and state-of-the-art amenities. Studio, 1, 2 & 3 bedroom flats are available offering world-class amenities and finishes including Durham's largest residential fitness center, pool and courtyard, private waterfall lounge, sky lounge overlooking the community and expansive dog park. 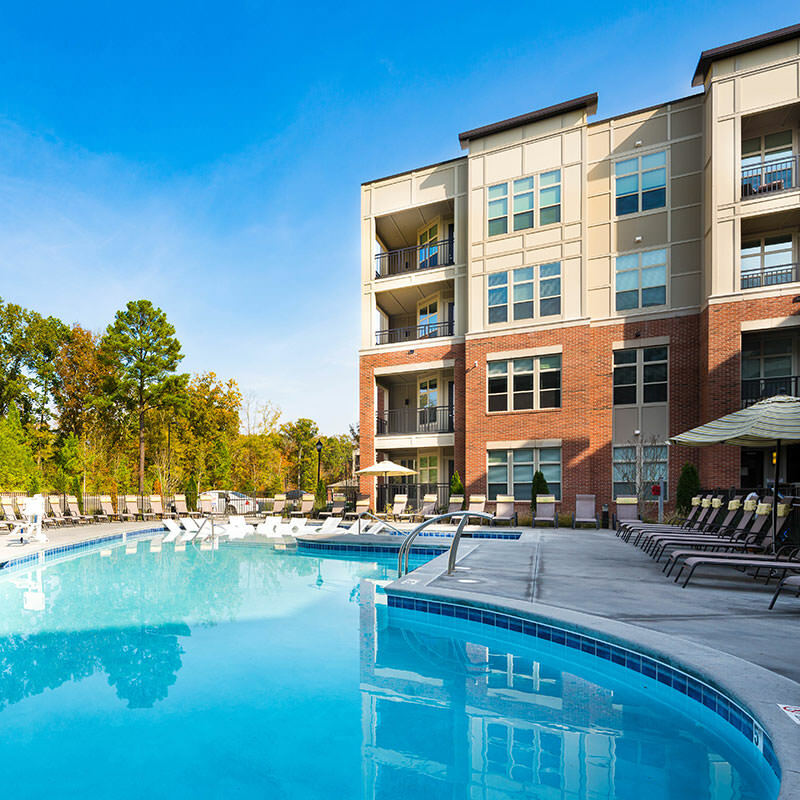 Located on Leigh Farm Road at I-40 & NC-54, the community offers an easy commute to Chapel Hill, Durham RTP & Raleigh. A short drive to Duke University or UNC-Chapel offers abundant entertainment options. Welcome to the Apartments at Palladian Place, a Northwood Ravin signature community.